1. 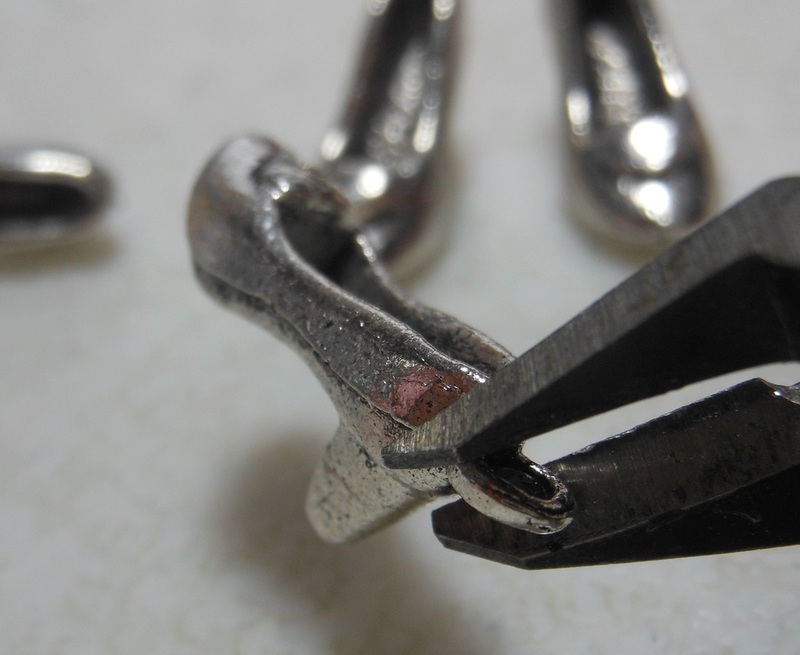 Clip off hanger from the silver metal shoe charm. Sand down and rough edges that may remain. 2. 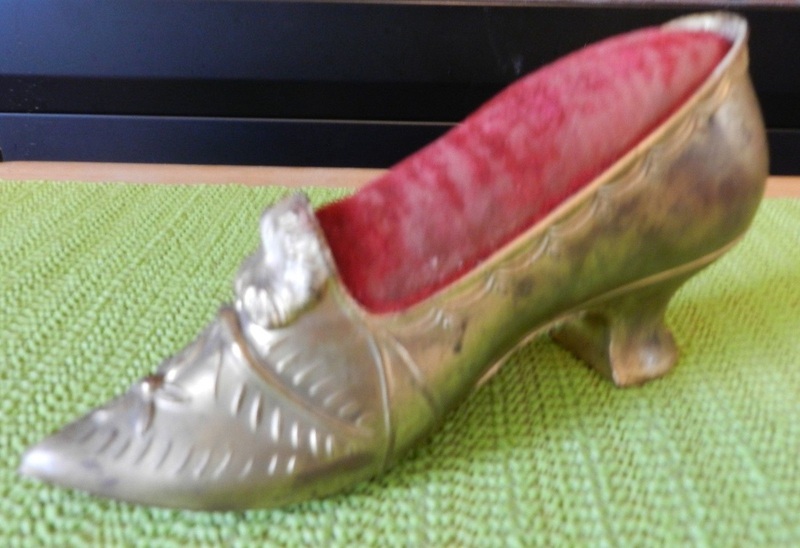 Cut a small piece of velvet just a bit larger than the inside of the shoe. 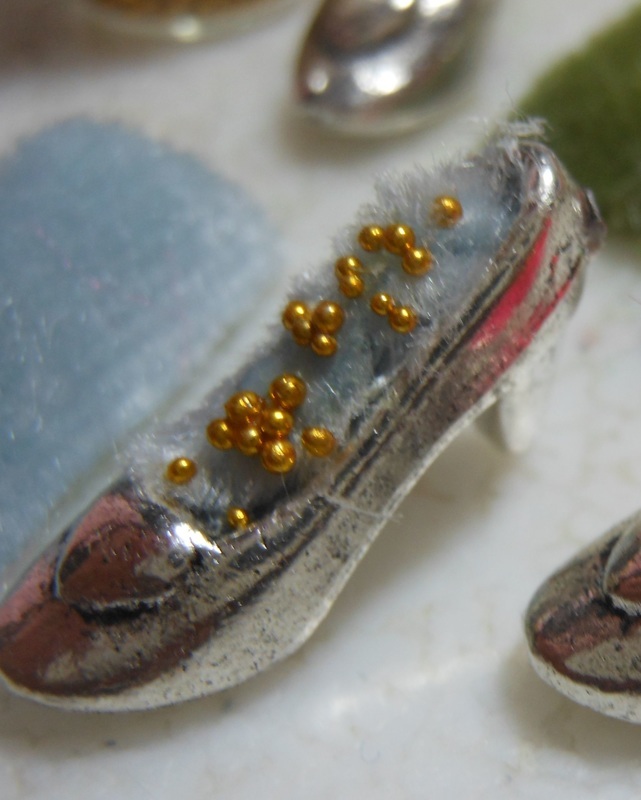 Spread a layer of glue inside the shoe charm and gently but firmly press all the raw edges of the velvet into the glue. Allow to dry. 3. 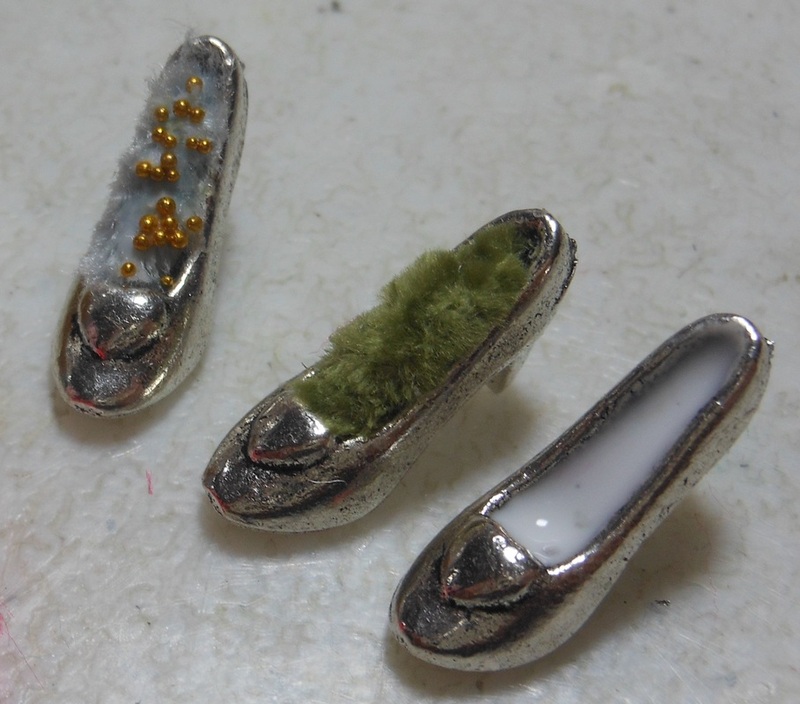 Spread a thin layer of glue on top of the velvet and add some no hole beads to simulate straight pins in the shoe. Let dry completely and place on sewing table or in scene as needed.